Our last blog suggested people hurry to see the ‘Peculiar People’ exhibition at the Focal Point Gallery in Southend-on-Sea. Now there’s an extra reason for a trip to the seaside. Only three hundred yards from Focal Point, the Beecroft Art Gallery is hosting a rare exhibition devoted to the work of The East London Group, and the two exhibitions complement each other perfectly. 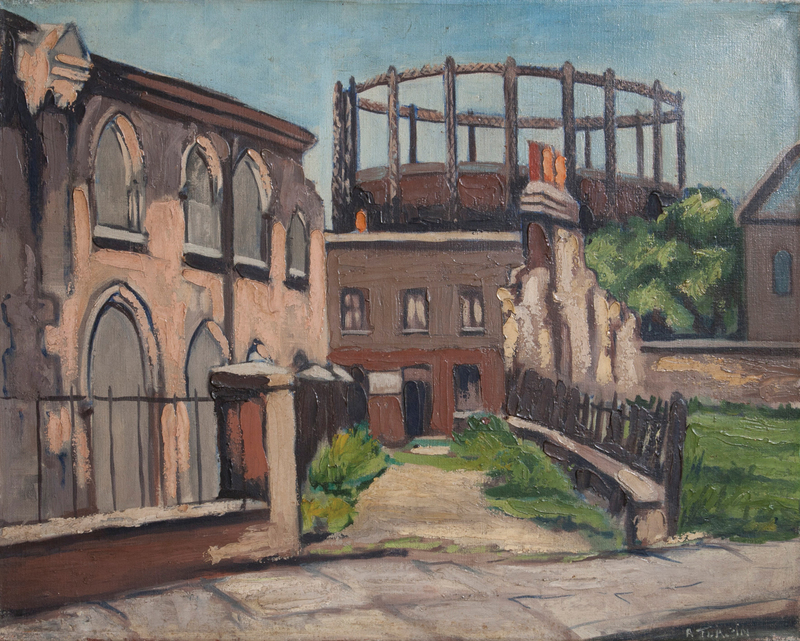 The East London Group was a body of amateur artists inspired and taught by the academically trained painter John Cooper at an evening class in Bethnal Green (and subsequently Bow) in the 1920s and 1930s. They were quick to make their mark not only on the local scene but soon achieved national and even international acclaim. 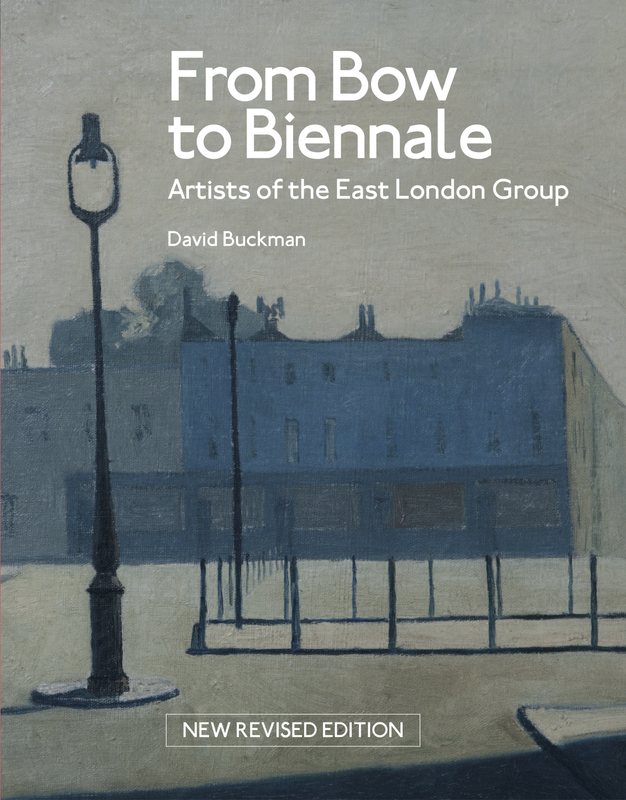 Hence the title of the beautifully illustrated volume re-issued again this year to accompany the exhibition, David Buckman’s, From Bow to Biennale: Artists of the East London Group. Within a few years of picking up their paintbrushes, two of the group, Elwin Hawthorne and W.J.Steggles, were selected to exhibit their work at the 1936 Venice Biennale. Full disclosure: everything I know about the East London Group I owe to Buckman’s wonderful book, a labour of love and the result of decades of research. To my shame I did not know of the group’s existence until this exhibition. Like the miners of Ashington, whose painting class was established in the same period, and whose work most recently enjoyed a revival of interest as a result of Lee Hall’s play, The Pitmen Painters, staged at The National Theatre, the East London Group was likewise made up of enthusiastic auto-didacts. The founding students included a park-keeper, basket-maker, engine-driver, window-cleaner and several office workers, who not unsurprisingly concentrated on painting domestic scenes and street life direct from experience. 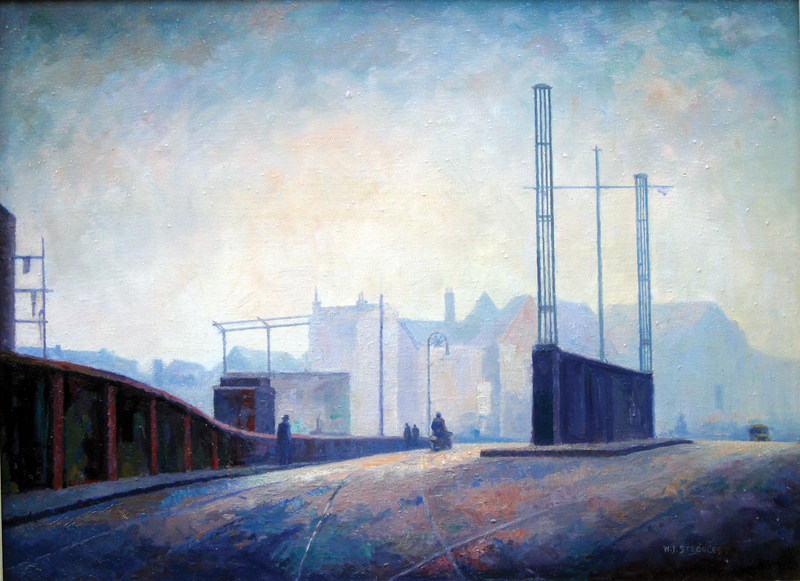 According to one critic, what members shared in common was ‘the pale, attenuated light of the London streets’, while another chose to cite the American philosopher Emerson on the English aesthetic of evoking depth and sincerity in this kind of urban scene by painting as if ‘under a leaden sky’. Though focusing on street scenes to begin with, over time members travelled further afield, into Essex and Suffolk and beyond, where they proved equally adept at recording the mood and tones of different suburban and rural landscapes. Cooper’s evening class in Bow was just one element in a rich network of ‘second chance’ opportunities for education offered in east London during this period – one thinks also of Toynbee Hall, The People’s Palace, Kingsley Hall, the Whitechapel Gallery and the Whitechapel Library, along with a number of Jewish organisations, clubs and theatres. In this period political activism and pedagogy went hand in hand. The biography of Albert Turpin, a founder member of the group, is the stuff of legend. Born in 1900 in a tenement off Columbia Road, Bethnal Green, the son of a feather-sorter, Turpin left school at 14, became a boxing champion, fought in the First World War, and for the rest of his life earned his living as a window-cleaner. An active socialist he became Mayor of Bethnal Green, led the often brutal street-fighting resistance to Mosley’s Blackshirts in the 1930s, as well as producing some of the finest oil paintings of East London life of any member of the East London Group. Towards the end of his life Turpin became attracted to the conciliatory ethos of Moral Re-Armament, as did a number of trade unionists and Labour Party stalwarts after the Second World War. Not only were East London Group members lucky to have had Cooper as their tutor and fellow artist, they were also able to take advantage of Cooper’s contacts in the commercial art world. From the outset their work was exhibited in a West End Gallery, and was bought by collectors. Why the East London Group became forgotten – compared with the Ashington Group, for example – is a mystery, but the Beecroft exhibition combined with the new edition of Buckman’s book, brings them back into the light again, deservedly so. The East London Group – ‘Out of the City’ exhibition is on at The Beecroft Gallery, Southend on Sea, until 25 June 2016. From Bow to Biennale: Artists of the East London Group, New Revised Edition, 2016, by David Buckman, is published by Francis Boutle Publishers.